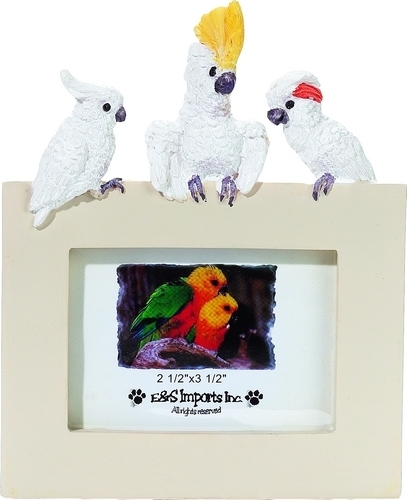 Detailed resin deskop picture frame with three cockatoos sitting on the top edge. Holds a 2-1/2" x 3-1/2" photo. Great gift or keep a picture of your bird at work!